The newest addition in the SeaSport lineup is the Commander 2800. 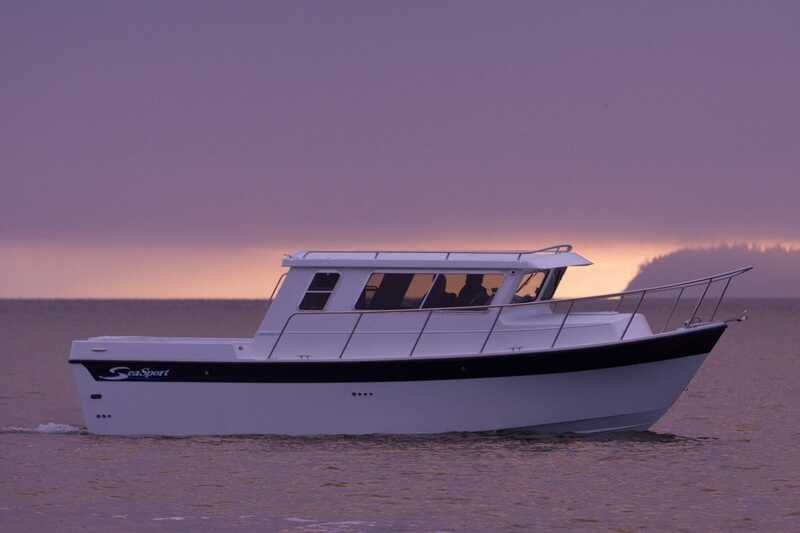 The commander is the perfect size for both leisure family cruising and the diehard fisherman. 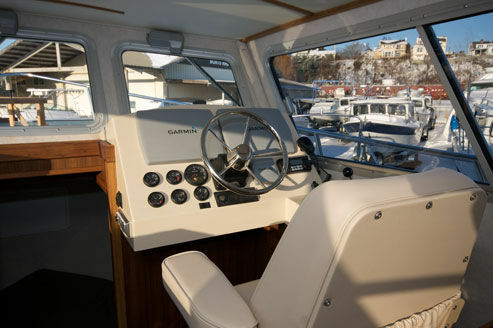 By adding 2 feet in length and 13” in beam over the 2600 series, you gain many features that simply were not possible on the smaller boats. 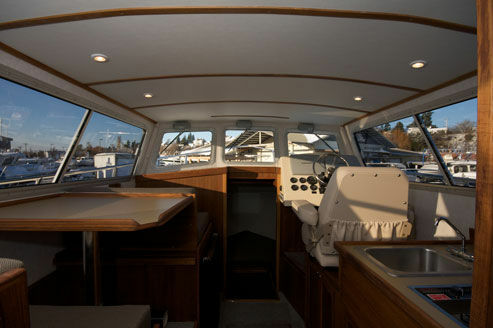 The full galley includes a 2 burner propane cooktop, a deep sink w/ hot and cold water, and a 3.5 cubic foot refer. 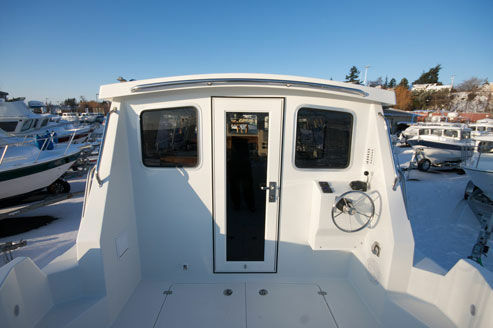 The cabin also includes a fully enclosed electric marine head and a hot water shower system. Notably, the Commander has a roomy port side aft stateroom, providing additional sleeping accommodations for two. 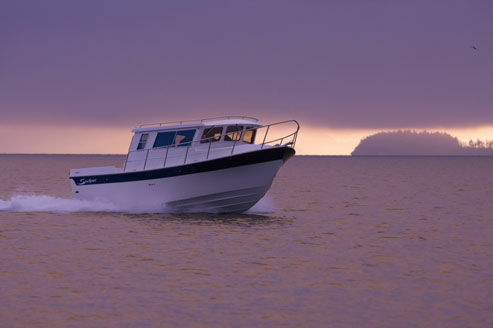 The 2800 Commander represents the excellence that is the hallmark of all SeaSport boats.